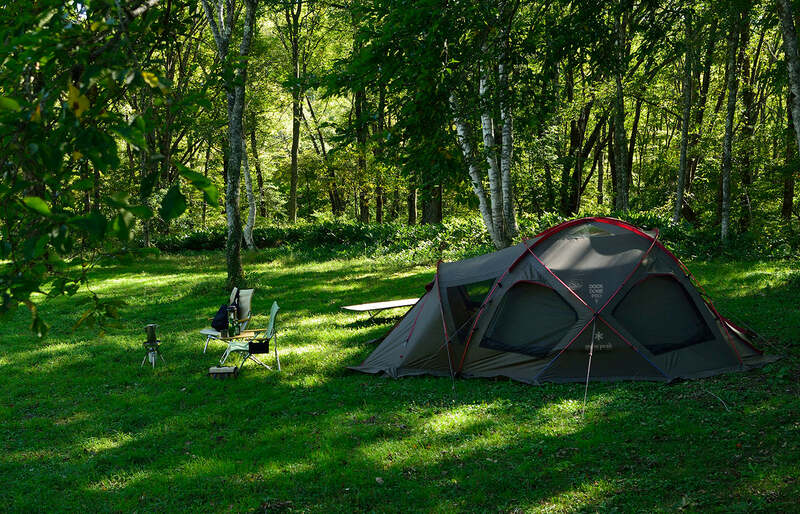 Snow Peak’s Dock Dome Pro 6 is a versatile 4-season tent built to keep your family or group sheltered no matter what the weather brings. 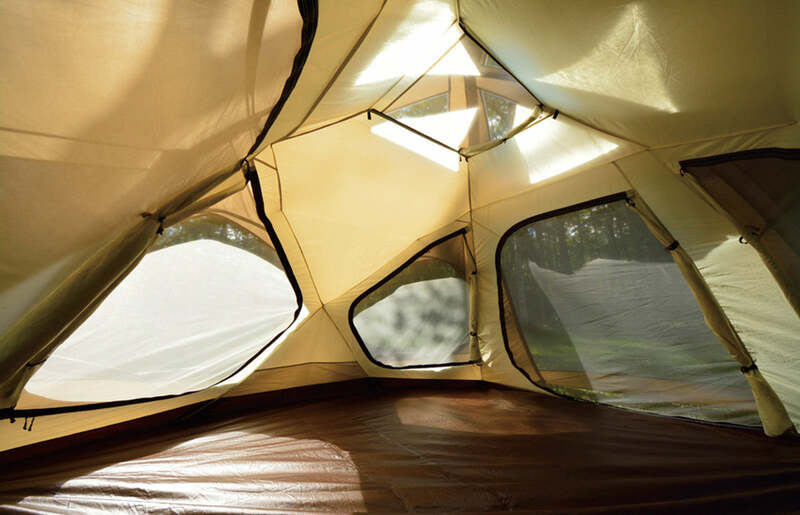 Use the inner tent to transform the Dock Dome from an open-air shelter to a roomy, weatherproof sleeping quarter. Size Stowed L27" × W9.5" × H9.5"
Inner tent comfortably rooms 4 adults + 2 children. (Two person sleeping bag photographed above). Stands by flysheet alone, to be used as a shelter. Mud skirt for keeping out wind and rain.